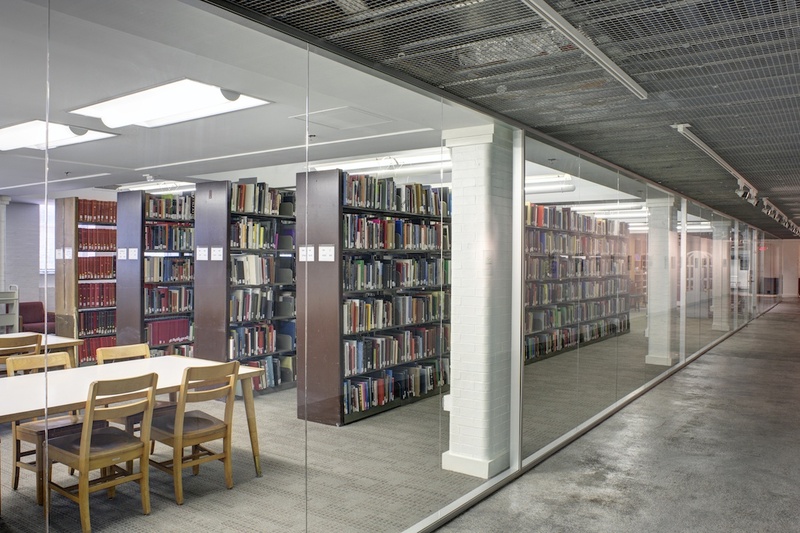 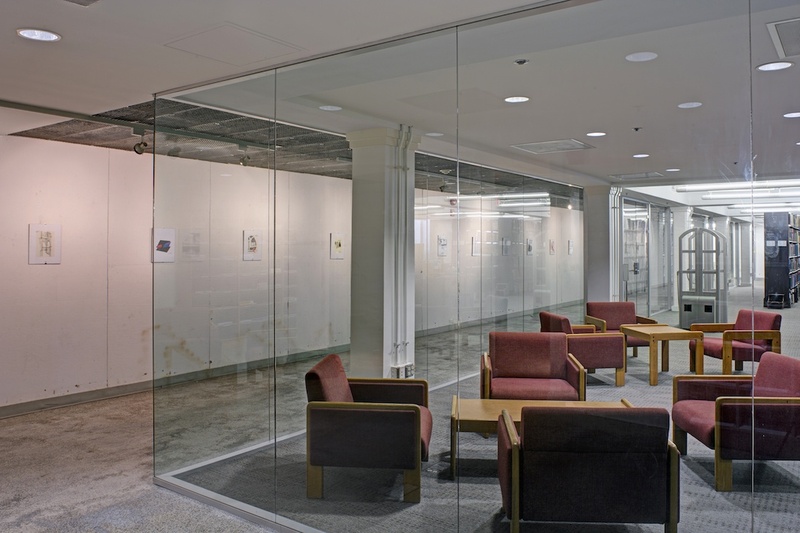 A 3,000 SF existing studio space at The Catholic University of America School of Architecture was converted into the Architecture School Library. 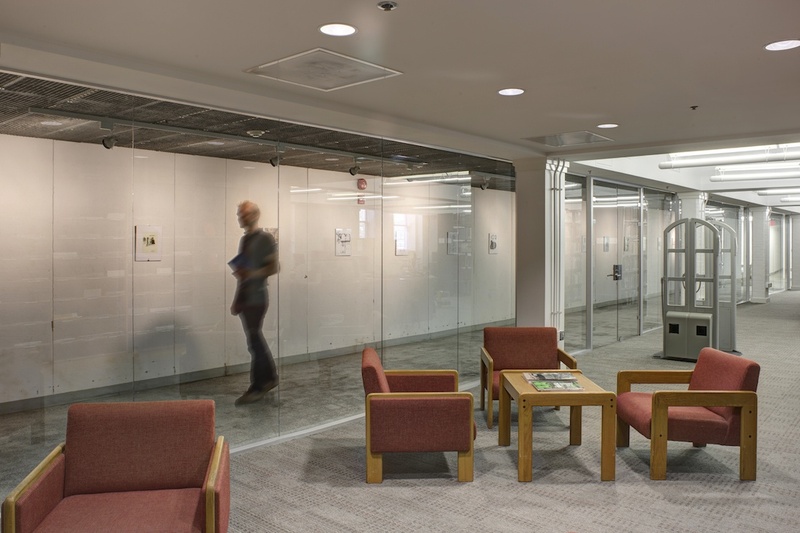 The new space is highlight by floor to ceiling glass that links the pin-up space in the corridor with the new library. 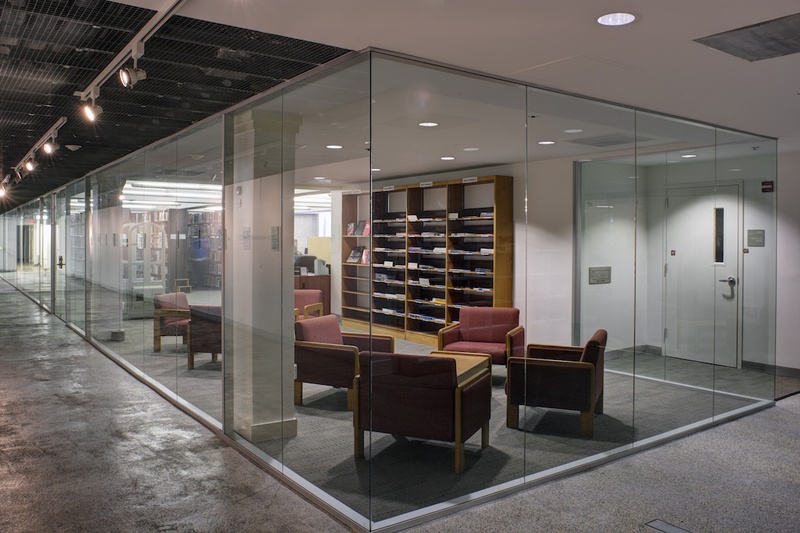 Library includes offices, study area, and read- ing lounge.